Cold Sores (Herpes Simplex 1) can be treated by antiviral topical creams or systemic antiviral agents. 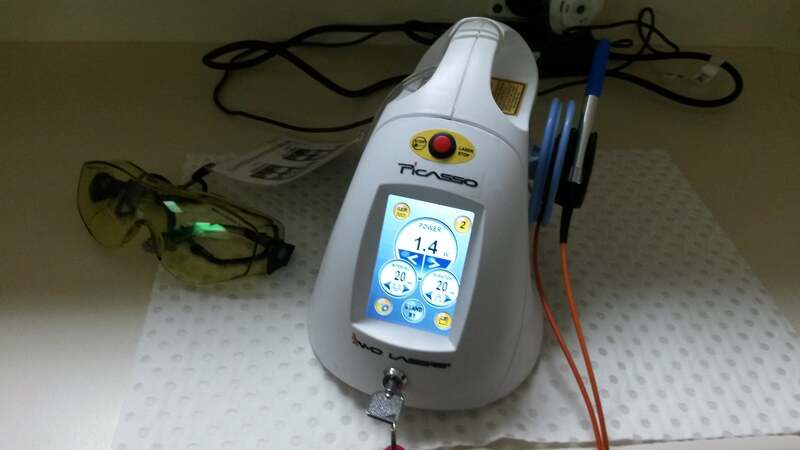 Studies are now showing that diode laser therapy can reduce pain and promote early healing of cold sores by 100% in the prodomal stage (tingling stage), 95% of the vesicular ones (clear fluid filled sacks) and 91% of the crust stages within 48 hours. Other studies have shown that the reappearance of cold sores in that area has been delayed from the control group of an average of 3 weeks to the treated group average of 37.5 weeks.